By the late 1980s, R&B music was at a crossroads with its aging audience and sound. The genre itself was looking to go into a more youthful direction. Fortunately, help was on the way in the form of a teenage prodigy from Harlem, New York. Building off of the successes from Johnny Kemp and Keith Sweat in 1987, the newfound New Jack Swing genre was leaving its mark on pop culture audiences. In the same year, the mastermind behind this incredible blending of Hip-Hop and R&B would become part of a group named Guy that would ultimately define themselves as the trailblazing unit that would propel the dominance of New Jack Swing with their debut offering. Their self titled album, Guy would be released on June 13, 1988 by Uptown Records. Uptown Records was the newest label on the scene and their youthful exuberance shined through with the hot acts they were signing in both the R&B and Hip-Hop genres respectively. Guy became the first R&B group signed by Andre Harrell. From his previous working relationship with Teddy Riley, Harrell knew that the group possessed the capabilities to become something special. The group failed to disappoint with their debut offering and left quite the impression on the multitude of music fans worldwide. This album would introduce the collective pioneering the development of a groundbreaking genre of music, which placed them in a different class among their contemporaries. Their style of rhythm and blues was a welcomed breath of fresh air with the lovers of the genre. Each of the 10 songs on the album highlighted the captivating, soul stirring lead vocals of Aaron Hall, songwriting of Timmy Gatling, and the prodigious songwriting and production talents of Edward “Teddy” Riley. All of these elements proved to be explosive once the album hit stores in the early summer of 1988. The concept for the group was formulated by Timmy Gatling and Aaron Hall when they worked together at the same clothing store in 1987. 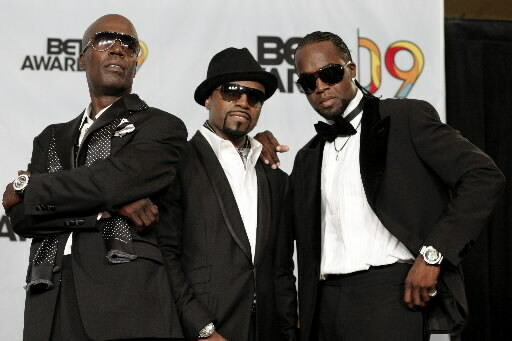 Shortly thereafter, Teddy Riley was introduced to Aaron Hall by Timmy Gatling and Guy formed as a trio. As the story goes, the group was managed by Gene Griffin, which led to a meeting with Andre Harrell at Uptown Records. Upon hearing the music the group created, they were signed to the label immediately. It would be here where they would stake their claim as a force to be reckoned with in the world of music. After signing their record deal, Guy would release their debut album a year later and the rest would be history. Between the months of October 1987 – March 1988, Guy was recorded at Teddy Riley’s home studio in Harlem, NY. 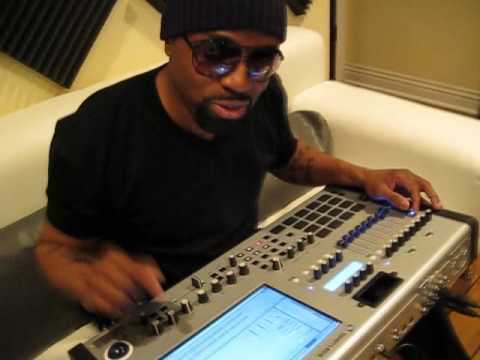 SoulCulture recently sat down with Teddy Riley to discuss the making of such an epic album. Riley tells a riveting story of how the group was initially formed and how they chose their name. “The group was formed with Timmy Gatling and Aaron Hall,” says Riley. “Timmy Gatling used to work at a store in Brooklyn called Abraham & Straus. Timmy discovered that Aaron could sing one day when they were working together. Once Timmy heard Aaron singing, he was curious to know what Aaron was doing with his talent and who he was working with. Aaron told him he wasn’t working with anyone because he was singing in the church. “Timmy gave him the idea that they should get together to form a group. At first, it was just about Timmy and Aaron being in a group. He brought Aaron to the studio with me and I was just finishing up Keith Sweat’s album. The studio was out in New Jersey and it was an extension of the Power Plant studios. It was called Quantum Sounds. “He brought him to the studio and I met Aaron and Timmy told me he wanted me to produce them. I said that’s cool. Timmy wanted me to hear Aaron sing and he blew me away with everything. I never heard anyone sing that way other than Charlie Wilson or Stevie Wonder. He continues. “Aaron and my mother were the ones to push me to sing because I never wanted to be a singer. We met the next day after I finished Keith’s album. Aaron came over to my house and we exchanged ideas about doing the group and going back to Gene after we finished the demos. We figured he still had contacts to help us get a record deal. We found Gene and he just came back to New York and he was staying downtown in a five-star hotel. We went down there and told him that we had something. He told us he would come to my house to see what we had. At this time, I was living in the St. Nick’s projects on the first floor. Riley retraces all of the footsteps involved in landing the group’s record deal. “We got our record deal through Uptown Records because I worked with Keith Sweat, but at the same time I was working at Roof Top Records with my partners,” says Riley. “We owned the company and we signed Kool Moe Dee as our first artist. While working at Roof Top Records, I remember Andre Harrell and all of Queens and Brooklyn coming up to the Roof Top. My uncle Willie and my partner Gusto actually owned the place. My other partner was Greg G from the group, the Disco Four and Lavaba Mallison. Lavaba and all of us used to be at the Roof Top. “This is around the time Andre Harrell said he was going uptown to check out this kid who was doing music. I can remember people talking about me and how I was doing music. I produced ‘Go See the Doctor,’ ‘Rap’s New Generation,’ and Doug E. Fresh’s song ‘The Show.’ They thought all I could produce were rap records, but no one knew I did R&B too even when I did Keith Sweat’s album. “I moved on to R&B music and that’s when I came up with the style of putting rap and R&B music together. Andre Harrell bought Heavy D to me and I didn’t really need Gene to make that contact. I ended up bringing Gene in to make that contact, but in the end I had a middle man. I actually could have signed the deal by bringing up Aaron and Timmy to Andre’s offices and cutting out the middle man. Either way, I felt like there was something happening and that there was something special going on with this group. I felt like we were the Gap Band on steroids. I met Andre Harrell first and then I made the contact between Andre and Gene so that our business would be straight and no one would get over on us. “Coming in, we didn’t know the business; we just wanted to do music. That’s how we got with Andre Harrell because I was working with Heavy D, Al B. Sure, Groove B. Chill, Finesse and Sequence and a group called The Girls. They were all signed to Uptown and Andre was just sending me group after group to work with. I was knocking everything out as he was sending it to me. Riley recalls the studio atmosphere during the recording of the album, the chemistry that existed between the group members and manager Gene Griffin, and why Timmy Gatling quit the group before the album was completed. “The studio atmosphere was at my mother’s house,” says Riley. “We did the whole album there and I used the Akai 12 track. I couldn’t afford anything and the Akai 12 track was given to me by a friend of mine who was an engineer. He started giving me equipment because I knew how to use it. My uncle Willie brought me the keyboards and the little drum machines that I needed. I did the vocals in my bathroom and when I didn’t have a drum machine I would use the microphone that my uncle bought me as a bass drum. I would put the microphone between the holes of the toilet tissue and that would be my bass drum. “I learned from Doug E. Fresh how to do the snare drum and hi-hat sound with my mouth. When I did the snare drum and hi-hat sounds, the microphone was taped between the holes of the toilet paper roll and that’s where the sound came out of,” he laughs. “I did this all in the bathroom, but I had the ambience from the bathroom to give me the reverb. I had every vintage keyboard including a Fender Rhodes and a clavinet. “Everything you hear on that album was developed in my mother’s house. My witnesses are my mother and the lady upstairs named Ms. Black, who used to bang on the pipes telling me to turn my music down. After we made our first hit, she told me we could play our music anytime we wanted to. She was always for kids to stay off the streets and not sell drugs. I was always in the house and she would wonder what I was doing because she was always hearing me bang on my machine until I got the sound I wanted out of it. He adds. “The creative synergy that Timmy, Aaron, and I had was just magical. It was something where we didn’t even know what we had. People around us could see it, but we couldn’t. My uncle Boopsy used to come around to sing our songs. Pretty much every artist and celebrity has that one uncle who will come in and try to sing your songs while you’re trying to create. Well, that’s when we knew we had something special. My uncle used to come over my house just to hear us sing. Then, he used to try and join in like he was going to be a part of our band,” he laughs. “I lived on the first floor so you could actually come to my window and hear me play music. When Aaron would sing, all of my friends and the kids from the block used to come to the window to see and hear us. They heard the music before we even put it out. Basically, we had a live concert there for everyone. “It’s so crazy how Timmy left the group. We all used to live in Washington, DC with Gene. When we lived out there, we didn’t get along at all. Aaron and I got along real well, but Timmy was jealous of Aaron and I being so close. Timmy and Aaron would get into little fights. They got into a big, big argument and it almost came to blows. Gene got upset with all of us. I was the youngest of the bunch and I never got into trouble. “Timmy and Aaron used to argue with each other a lot. We used to do crazy stuff with girls and what not and Gene was playing that Joe Jackson type of role by keeping us away from those crazy things. It was good for us and it was good for me. One day, Aaron was hanging out and Gene told him not to go out. Aaron went out and got into a car accident again with this girl he was seeing. Aaron came back home with his neck hurting. Gene thought he was lying because he told him not to go anywhere. Gene made Aaron take the train back to New York because we were on our way back up there. “I said to myself I’m in trouble now. I said to him, ‘Because he’s in the group and if he’s not in the group there won’t be a group at all. I’m not going to be in the group if Aaron isn’t going to be in the group.’ He said, ‘Whatever you say Midas.’ He used to call me Midas because he said I had the Midas touch. The day Aaron came back is the day Timmy and he got into another heated argument. “Round and Round (Merry Go Round of Love)” went on to peak at #24 on the Billboard R&B/Hip-Hop Songs Chart in the late autumn of 1988. The next single to follow “Round and Round (Merry Go Round of Love)” was the up tempo, infectious “Groove Me.” Riley remembers how the song came together at his house and later on in the studio. “Groove Me’ started at the house and Aaron did the vocals,” says Riley. “The original vocals from the 12 track ended up being the ones we used, but when we got to Sound Works Studios, Aaron wanted to try to sing his vocals over again because he knew he could do better. Gene told him to go for it. He never stepped on Aaron’s toes when it came to singing part because Aaron was the teacher of the group. “Groove Me” went on to peak at #4 on the Billboard R&B/Hip-Hop Songs Chart and #33 on the Billboard Dance/Club Play Singles Chart. The third single to be released from the album would be “Teddy’s Jam.” Riley explains how the song’s title was influenced by Aaron Hall. 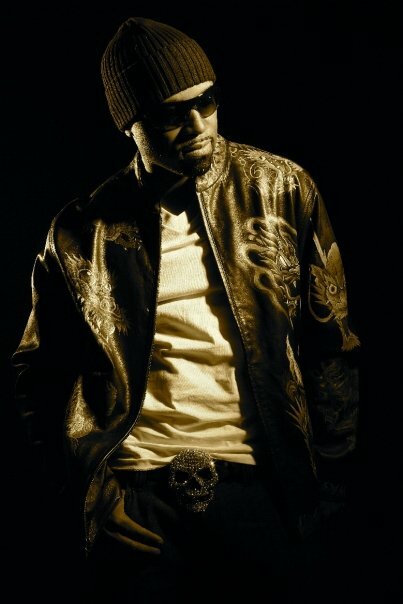 “Teddy’s Jam” went on to peak at #5 on the Billboard R&B/Hip-Hop Songs Chart and #25 on the Billboard Dance/Club Play Singles Chart. The fourth single to be released from the album would be the iconic “I Like.” Riley recounts how Timmy Gatling played a role in shaping the song. “I Like” went on to peak at #70 on the Billboard Hot 100 Singles Chart, #2 on the Billboard R&B/Hip-Hop Songs Chart and #36 on the Billboard Dance/Club Play Singles Chart. The final song to be released from the album would be “Spend the Night.” Riley tells a compelling story after the song was completed. “This is the time where Aaron and I saw our lives passing by very quickly. After Aaron and I produced the song ‘Spend the Night,’ the same day we were at Tony Bennett’s son, Dave’s house at Hill Sound Studios in Teaneck, New Jersey. After finishing that song, we were so happy and we were on our way back to the projects. “I remember I was driving my brand new 5.0 Mustang that Gene just gave to me. It was kind of icy on the ground and we were listening to the song. I was in tears listening to the first song I ever sung on. Not even 10 minutes from leaving Dave Bennett’s house, we got into a five car accident and it was my fault. I hit the gas because I was feeling good and I was singing my part of the song in the car. I hit the gas again and my car swerved and I ended up hitting four brand new Cadillac’s at a Cadillac dealership. Riley provides insight on how some of the remaining songs on the album came together. “‘Piece of My Love’ and ‘Goodbye Love’ were the album selling songs. They were the incognito tracks that people could only hear if they bought the album. These two tracks are the reasons why our album sold so many copies. Guy peaked at #27 on the Billboard 200 Albums Chart and #1 on the Billboard R&B/Hip-Hop Albums Chart. It managed to stay atop the Billboard R&B/Hip-Hop Albums Chart for five non consecutive weeks between 1988 and 1989. The album went on to sell more than three million units worldwide. To this day, it’s regarded as one of the best albums released from an R&B group during the decade of the 1980s. Their debut record signified that the brand new genre of New Jack Swing had staying power on the music charts. It also signaled a generation shift and set in motion a new blueprint for R&B groups in the early part of the following decade. These three young men gave the world one more reason to love harder with their timeless ballads and club records. Guy holds its weight among other classic albums from any group in any generation of music proving their legacy will endure through the rest of time. Inrecdible. I love the anecdotes.